Hop in your new Honda and explore the Louisville area. There are tons of art museums and galleries to visit in the area, a family friendly activity that’s enjoyable for everyone. You can learn about the culture and history of the Louisville area, as well as see some of the finest works of art in the country. Explore Louisville museums and galleries today. According to the Louisville website, one of the most popular attractions is the Kentucky Museum of Art and Craft. This place was first opened in 1981 as a nonprofit museum, with a mission to support excellence in the arts. The permanent collection includes works by Wendell Castle, Ebony Patterson, and Simone Leigh among others. 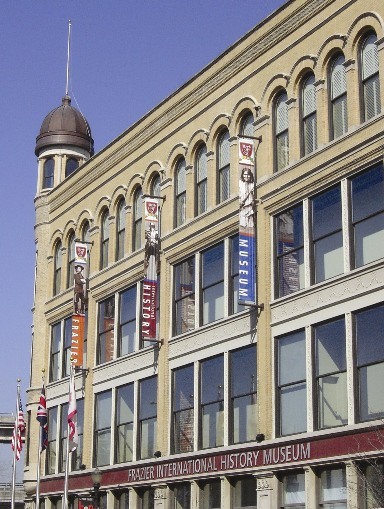 The Frazier History Museum (pictured above) is also popular, located in downtown Louisville on Museum Row. As an affiliate of the Smithsonian, the museum has unique travelling displays you won’t find elsewhere. You can see a rifle once owned by George Washington, Teddy’s Roosevelt’s hunting equipment, and objects from Buffalo Bill and Jesse James. Finally, explore the Kentucky Science Center. As the state’s largest hands-on science center, this place has features like an IMAX theater, interactive exhibits, educational programs, and more. You can see the famous pendulum in the lobby area, or visit the science-workshop in the Science Education Wing. These are just some of the many museums and galleries in Louisville, KY. Others in include the Louisville Slugger Museum, Muhammad Ali Center, the Kentucky Opera, the Speed Art Museum, and more.